Ride the same roads as the pros! 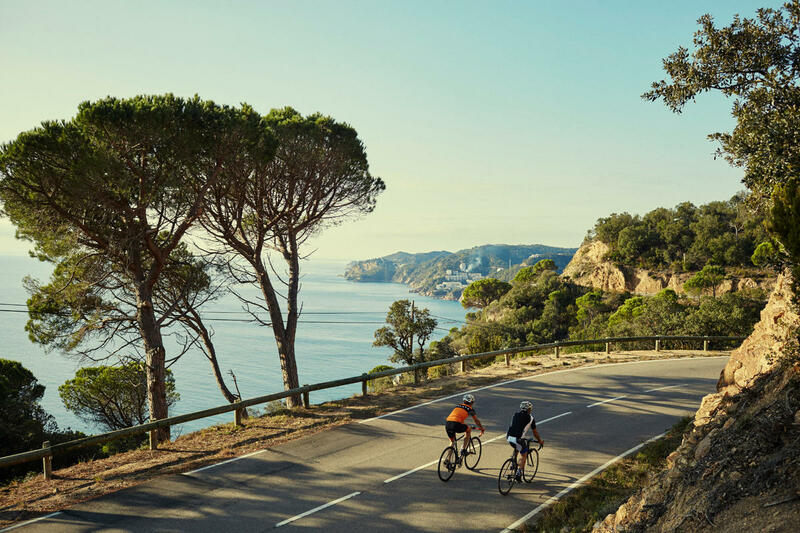 Spain has always been renowned as a warm weather cycling destination, and rather than Mallorca we prefer the quieter roads of Girona for our warm weather escape. The Catalan food and hospitality is second to none. Home to many pro cyclists, including the Yates brothers, David Millar and both the Orica and EF Education teams, there is a good chance that if you spot someone in team kit, they really are in a team! They gravitate here due to the good weather, varying terrain and quality of life. The riding around Girona is brilliant. Little traffic, undulating country lanes, punchy climbs and fast descents, plus a dash of gravel white road riding. All the ingredients for a great weekend escape. After arriving at Barcelona Airport, you will be met by one of our guides in the arrivals hall. Once both flights have landed, Girona is a short 1 hour transfer away. Here you will be reunited with your bike that will have been driven down for you. A couple of hours for a nice Lunch, time to settle in and fettle your bike and then we will test the legs with a ride to the famous Rocacorba. Todays ride will start in Girona and head towards Salt and Bescanó, before arriving in Bonmatí and tackling the first climb up the Les Serres road, a mountain pass that you will ride twice today in our figure of 8 loop. The first descent will take you to the Vall del Llémena and on to Les Planes d'Hostoles, in the Garrotxa region. From here you will head to Amer, turning off after Pasteral and onto a shadowy, wild road to the Susqueda Reservoir, before ascending the gruelling Nafré mountain pass to Osor. Here begins the long descent to Anglès, which will take you back to Bonmatí, where they will have to brave the Les Serres mountain pass for the second time. 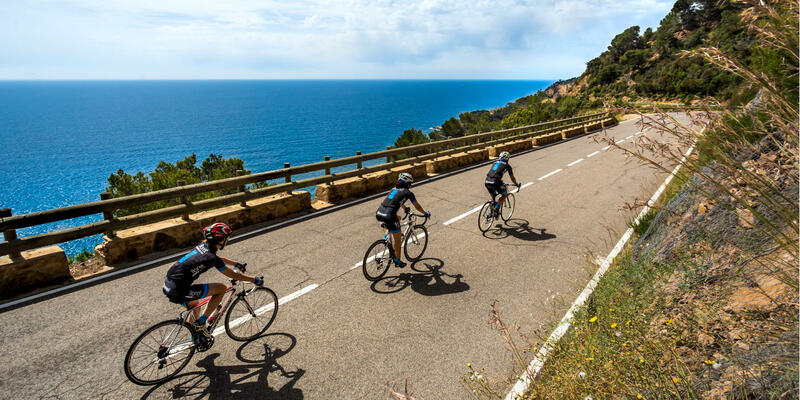 You will return to Girona through the Vall del Llémena, down alluring roads that pass through Llorà, Canet d'Adri and Sant Gregori before finishing back at the hotel. Dinner in Girona and time to relax by the pool with a beer in the evening. Today we turn away from the mountains and head to the coast. 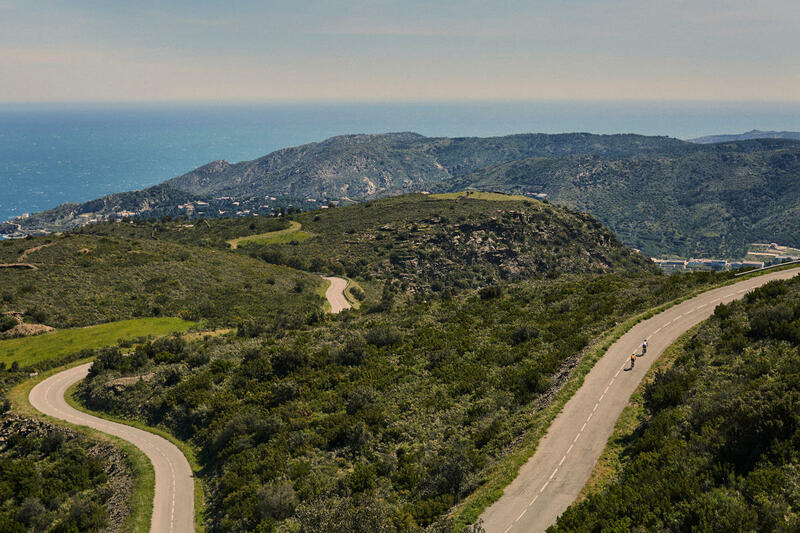 Our destination is the beautiful rolling coast road with great views over the Mediterranean. We return through vineyards and countryside to Girona. 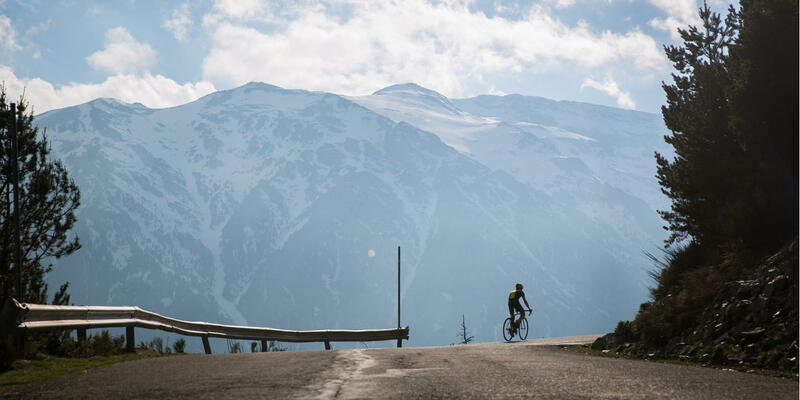 Don't let the lack of mountains fool you, today will be a tough day of constant undulation, small roads and even an optional splash of gravel roads. Time for one last local ride and a coffee in Girona, before your transfer to the airport. above: Ardenya. © Facu Aguirre, Arxiu Imatges PTCBG. The group will be a minimum of 6 and a maximum of 12 people. We feel that this size of group works best as there will always be enough in the group for some good company but there won't be so many people that it becomes overcrowded. Accommodation is in clean and comfortable 4-star bike friendly hotels. For this trip we use the Nord 1901 hotel. 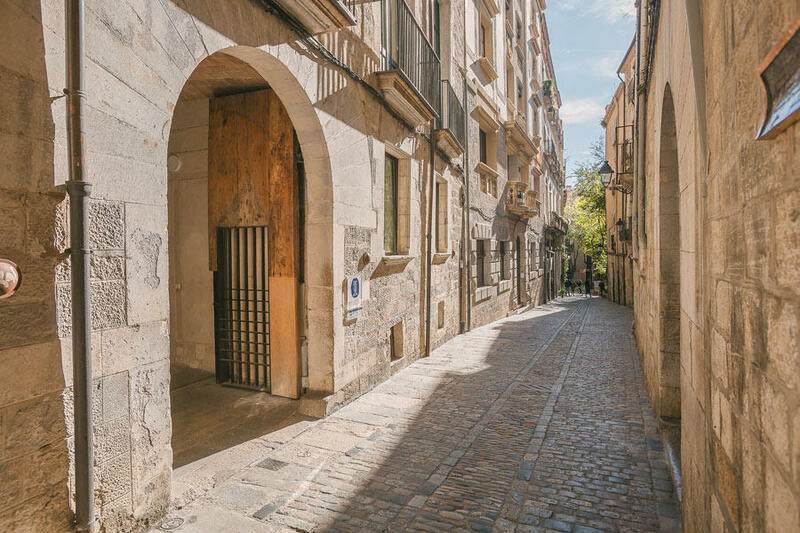 Situated in the heart of Girona just a 5 minute walk from Girona Cathedral. A garden terrace and swimming pool are available to relax in post ride. All your breakfasts, lunches, coffee stops and dinners are included in the price of the trip. Lunches will be provided each day in a cafe or will be picnic lunches provided by the guides when the weather is good. Evening meals are provided at your accommodation or in a nearby restaurant. We also supply fruit, biscuits, cake, nuts, etc in the support vehicle that you are welcome to have throughout the day as well as sports nutrition if required. Water and soft drinks will be in the support vehicle but any alcoholic drinks are not included and will have to be purchased individually. Each one of our Guided Road Cycling tours is supported by at least 1 qualified bike mechanic as well as 2 professional cycling guides to ride near the front and at the back of the group. The mechanic will drive the support vehicle that will be on hand throughout the day.